The City of Portsmouth supports a Senior Services Department through the Recreation Department. 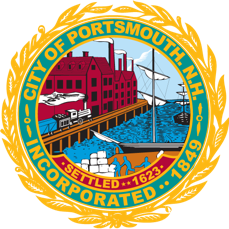 The City of Portsmouth subsidizes a fixed route and senior transportation program. Wentworth Senior Transportation is a collaboration between the City of Portsmouth and Wentworth Senior Living to provide transportation for City of Portsmouth seniors to medical appointments, senior activities and volunteer positions, and in-town shopping. The Senior Activity Center is a facility with 1,100 members with recurring and special events. Recurring events include a drop-in lounge, senior luncheons, free art classes, ukulele lessons and ensemble, free films, a book discussion club, and a men’s club. Special Events include a Senior Center Summer Cookout, a lecture series, and more. In addition, there is an indoor pool, which has senior only swim hours, and YMCA with specific senior programming, such as Fit over 50 and Strength and Stretch classes. RSVP’s Bone Builders is offered in two recreation facilities. The City of Portsmouth has a Meals on Wheels that offers both delivered and congregate meals. The City’s Bike and Walk Master Plan includes older adult feedback and consideration. There is a library with an array of programs for older adults including computer services. The City will continue to support and enhance the current programming and partnerships as well as work to build an environment that includes the 8 Domains of Livability.